It’s time to make plans for a joyful holiday getaway to Astoria this December, with Christmas concerts and carols, tours and holiday tea at the Flavel House Mansion, plus performances of A Christmas Carol and Astoria’s own melodramatic version, Scrooged in Astoria. Reader’s Theatre will present five performances of their adaptation of ‘A Christmas Carol’, including early 19th century Christmas Carols, during the first two weeks of December. In contrast to the Astor Street Opry Company’s Scrooged in Astoria, the Reader’s Theatre takes a more traditional approach portraying the classic Ebenezer Scrooge and his visits from the Ghosts of Christmas Past, Present, and Yet to Come. Admission: $15.00 Tickets may be purchased online. The weekend of December 8-10, 2017 features the North Coast Chorale Winter Concert, Mysteries of the Stars, at Astoria’s Performing Arts Center. Mysteries of the Stars will present a program of musical compositions involving the stars, complemented by Karin Temple’s poetry about these mysterious heavenly bodies. The audience will hear about different aspects of stars in genres from secular to sacred and gospel. In addition, the Performing Arts Center will display star-themed art by Jo Pomeroy Crockett in the lobby. Admission: $10 for adults and free to children under 12 when accompanied by an adult. Tickets may be purchased at the door. Stop by The Cellar on 10th Saturday afternoons in December for holiday-themed wine tastings. 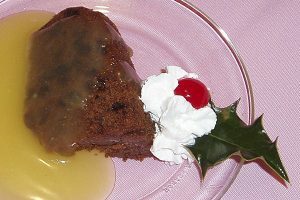 Celebrate a Victorian Christmas at Astoria’s historic Flavel House Museum with their Holiday Tea and Plum Pudding, available the afternoons of December 16-23, and December 26-30, 2017. Tour the beautifully decorated home and enjoy warm Plum Pudding and a cup of tea in true Victorian fashion. The Clatsop County Historical Society decorates the mansion as it would have been over a century ago, draping ropes of evergreens around fireplace mantels and over doorways. Candles and fancy paper ornaments, typical of late 19th century decorations, adorn the Christmas trees. Monday, December 18, 2017, Flavel House Museum celebrates an Old-Fashioned Christmas when St. Nicholas comes to town, You’ll find him sitting by one of the home’s six fireplaces, waiting to hear Christmas wishes. Why not celebrate the season with music, games, and stories for the children, while you enjoy cookies and hot cocoa? There’s no better way to enjoy the nostalgia of Christmas past than a stay at Astoria’s Clementine’s Bed and Breakfast this holiday season. Let us surround you with the warmth of Christmas past and Christmas present this holiday season – it’s the perfect gift to create treasured memories for Christmases yet to be.